In this affectionate and in-depth biography, Emily Herbert examines the incredible life of this remarkable man. Read it and share in every twist and turn of the life of a man well on his way to becoming a national treasure. This affectionate and in-depth biography examines the incredible life of this remarkable man. From his early life growing up in a pub in Sussex, through the scandals he encountered as an editor, to how his life has taken a new turn with his stateside career and recent marriage.Piers Morgan is one of the best-known faces in the British media, whose easy charm and boyish good looks have endeared him to the nation. His varied talents seem to know no bounds: he's interviewed scores of celebrities from Victoria Beckham to Gordon Brown; he turned around the fortunes of a leading tabloid newspaper; he's a judge on one of the most popular television talent shows and he's topped publishing's bestseller lists with several hit books. And now, to put the icing on the cake, he has secured one of the biggest gigs on American television: he is replacing Larry King as the anchor on his CNN show. But what is the real story behind the man who seems to have the ability to reinvent himself again and again? Piers' rise through the ranks of tabloid journalism was meteoric. He started his career in newspapers as a cub reporter for the South London News. It wasn't long before he was recruited to The Sun to work on the showbiz gossip column Bizarre. At just 28 years old, he was appointed Editor of News of the World, becoming the youngest national newspaper editor for more than half a century. It wasn't long before he took over the reins at The Mirror, where he stayed for nine successful years. Morgan himself became the subject of newspaper headlines when, in 2004, he was sacked by The Mirror after the newspaper ran fake photos of British soliders abusing Iraqi prisoners. 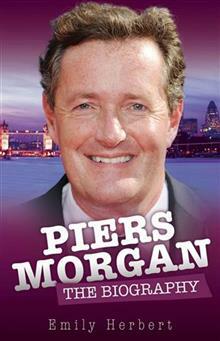 Always one to bounce back from adversity, Morgan then penned a best-selling book about his days as a tabloid journalist. He went on to become the darling of prime-time TV with a series of Life Stories celebrity interviews, a position as a judge on Britain's Got Talent and his popular Piers Morgan On...series.